Abduction Wedge prevents hip adduction that can result in dislocation following hip arthroplasty. Important for post-op in recovery wheelchair users. Comfortably maintains 4" of knee separation. 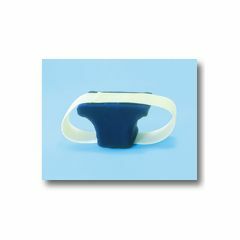 Adult model is available in high-density foam with machine washable, blue terry cloth cover or waterproof closed-cell foam. Pediatric model is closed-cell foam- impervious to liquid (doesn't include cover). Hook-and-loop strap maintains position, 4"W x 36"L.
What is 36" in length?